MTM Enterprises produced several big hits in the 1970s, including The Mary Tyler Moore Show and The Bob Newhart Show. The Texas Wheelers was one of the company’s flops. Set in a rural Texas town, the sitcom focused on the four Wheeler children and their drunk, lazy father who returns unexpectedly and tries to insert himself back into their lives. 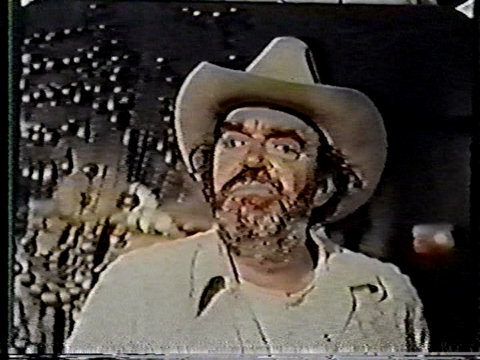 Jack Elam starred as Zack Wheeler, the father. Gary Busey and Mark Hamill played the oldest Wheeler children. Rounding out the cast were Karen Oberdiear and Tony Becker as the younger children. 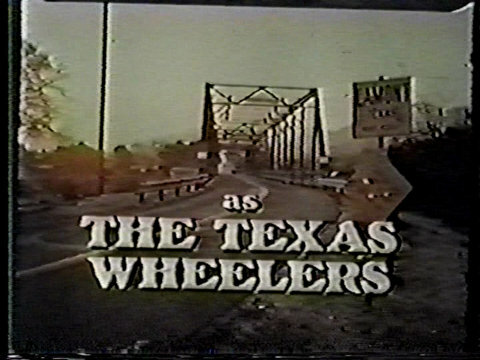 Barely a month into the 1974-1975 season, ABC cancelled The Texas Wheelers after just four episodes had aired. The network burned of four additional episodes during the summer of 1975, leaving five of the 13 produced episodes unaired. Learn more about The Texas Wheelers by reading my Spotlight about the show. The episode opens with the family waking up on a Wednesday morning. Youngest child T.J. doesn’t want to go to school. He says his hand hurts where the family pig bit him the day before. Truckie and Doobie, with the help of their father, convince him to go to school. Truckie and Zach then discuss the $50 they owe the doctor. Zach offers to sell his so-called heirloom pocket watch. He’s convinced he can get $60–even though the watch only runs for three minutes at a time. Truckie drives Zach around town hoping to find a buyer. He eventually manages to sell it to a junk store. But the woman behind the counter will only give him $30 for it. Zach watches with interest as a horse collar is sold for $70. He decides he can make money selling the family’s junk. With the help of his children, Zach sets up an open-air antiques market outside the house. Truckie and Doobie aren’t convinced their old junk from the barn will sell. Zach has hope, however. But when the first customers–Mr. and Mrs. Klate–want a rocking chair and there isn’t one for sale, Zach takes them inside the house. He offers to sell them the rocking chair the family still uses. Mrs. Klate spies a music box on the mantle. It plays the William Tell Overture. Zach happily sells it and the rocker and a velvet picture of Hawaii. Truckie points out that the music box belonged to Boo. She loves it. He gave it to her when she turned six. Losing it will break her heart. Zach promises to track down the couple who bought the music box and get it back. Unfortunately, the Klates had checked out by the time Zach got to their motel. He returns home empty handed. Truckie forces Zach to tell Boo about the music box right away rather than wait until morning. To the surprise of everyone, especially Truckie, Boo doesn’t remember the music box. Truckie reminds her it was a birthday present and she admits she loved it when she was six, but that was a lot of birthdays ago. Truckie and Zach continue arguing. Doobie tells them to stop fighting. They should be glad Boo’s heart isn’t broken. But the two can’t seem to see eye-to-eye about anything. Zach tells Truckie that one day he’ll learn not to assume kids feel the same way their parents do. Of course, Zach himself hasn’t quite learned that lesson yet. The next day, Boo demands part of the money from the sale of the music box and Zach gives her some. He thinks her request is proof she’s a Wheeler just like the rest of the family. “The Music Box” is the only episode of The Texas Wheelers I’ve seen. Unfortunately, the quality of my copy is quite poor. Nevertheless, I enjoyed watching it. I appreciated the lack of laugh track. It gave the humor a chance to sink in. Although to be honest, it wasn’t all that amusing. Jack Elam does a fine job as the cantankerous patriarch of the Wheeler clan. His wild eyes and gravely voice give the character a tough appearance. Elam manages to soften the rough edges at times, like when Zach realizes he may have broken his daughter’s heart. But soon enough he’s trying to squirm out of telling her that he sold the music box. It’s Gary Busey who shines here. Having looked out for his younger siblings after Zach abandoned them, Truckie feels responsible for them. He wants what’s best for them and he doesn’t trust his father to do the right thing. But he’s not the parent. He doesn’t have all the answers. When he’s proven wrong about Boo being distraught about the music box, Truckie doesn’t know what to do. He refuses to back down and lashes out at his father. I’m curious to know how their relationship would’ve progressed had the series succeeded. Mark Hamill has little to do in this episode, sadly. Like Truckie, Doobie wants to help raise Boo and T.J. but he’s not as mature as his older brother. He seems more interested in girls than anything else. Karen Oberdiear, as Boo, spends nearly as much time brushing her hair as she does speaking. And Tony Becker pretty much disappears after the first scene. It’s impossible to judge a TV show after viewing just one episode. But if “The Music Box” represents a typical installment of The Texas Wheelers, I’d love the opportunity to watch additional episodes. My copy of “The Music Box” features an ABC promotional spot for The Streets of San Francisco. 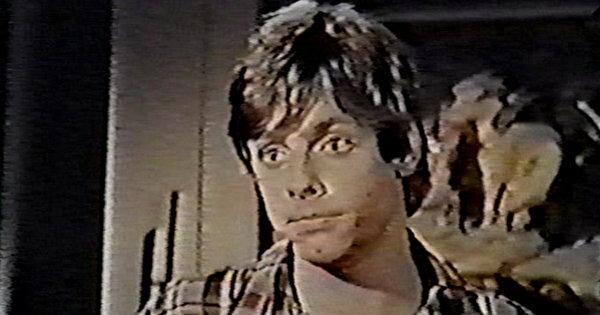 It also includes commercials for Close-Up toothpaste, Datsun, Fritos, Kodak (with Mark Hamill), and Cheerios. The name of the junk store is Funky Junk. Truckie’s phone number, as seen on the side of his truck, is 1763. The Texas Wheelers is not available on any format. Check YouTube for a few clips. Did you watch The Texas Wheelers on ABC during its brief run in the fall of 1974 or when it returned in the summer of 1975? Do you remember this episode? Hit the comments with your thoughts. It’s been more than 40 years since I watched this show (back when I was in high school), so I basically just remember that I liked it and thought it was funny. I grew up in the country (now live in a small town) and in 1974 almost all shows were set in big cities, which I couldn’t quite understand. On The Texas Wheelers folks had to get in the truck and drive wherever they needed to go — just like in my real life. Sit-com families always stretch the bounds of “real life” but a redneck family with money problems, and country music on the truck radio, made more sense to me than and the city shows. I’m thinking that in 1974 and 1975 the only other series with rural setting were historical shows such as The Waltons, Little House On the Prairie, and Gunsmoke. The Texas Wheelers was alone in showing that during the 1970s there really were folks living outside of major metropolitan areas. The major reason why ‘The Texas Wheelers’ failed was that it was scheduled terribly, a wistful witty dramedy sandwiched in between two science fiction series and up against NBC’s hot lineup of ‘Sanford & Son’ / ‘Chico & The Man’ / ‘Rockford Files’ / ‘Police Woman’. When ABC brought back ‘The Texas Wheelers’ for a summer burn-off run, it got an OK 9.6HH but ABC wasn’t impressed enough to keep it on for its full run. I think I only watched one episode of this series (one where the Dad was getting ready for a date) and I remember it being very authentic and brilliantly performed. But it was stranded on Friday nights in between ABC’s scifi series…it might have thrived better on Thursday nights at 8:30 pm instead of ‘Paper Moon’ in between ‘The Odd Couple’ and ‘The Streets of San Francisco’ and been a long-running utility player for ABC. 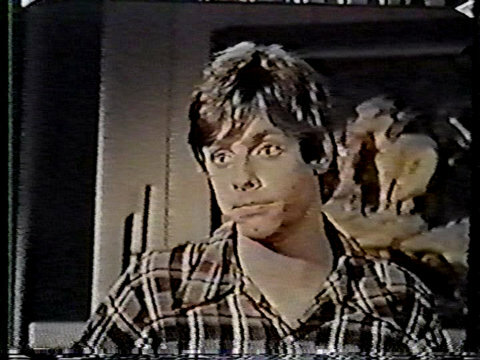 I was always surprised that ABC (or CBS which had major deals with MTM) didn’t reprise this series a few years later for a summer run in 1977 when Mr. Mark Hamill’s career absolutely took off after the May 1977 release of STAR WARS. A reprise of the series would have allowed those unaired episodes to see the light, and it might have struck Nielsen paydirt the same way that CBS’s 1973 and 1975 reprise of ‘Dan August’ (cancelled by ABC in 1971) riffed heavily on Mr. Burt Reynolds ascendancy to movie star status. this episode been on the trading circuit for over 20 plus years one of the collectors i get old tv shows. from still has this in his collection.